What events will be moving markets over the next seven days? Here’s five things that traders will be watching. US president Donald Trump and North Korean leader Kim Jong Un meet in Singapore on Tuesday 12 June for historic talks on ‘achieving permanent denuclearisation’ of the Korean peninsula. The meeting was first announced in March, but Trump subsequently cancelled the summit via a 24 May letter to Kim, saying it would be inappropriate based on ‘tremendous anger and open hostility’ displayed in a statement from Kim in which he had called US Vice President Mike Pence a ‘dummy’. Trump announced on 1 June that it was once again going ahead following a letter from Kim. 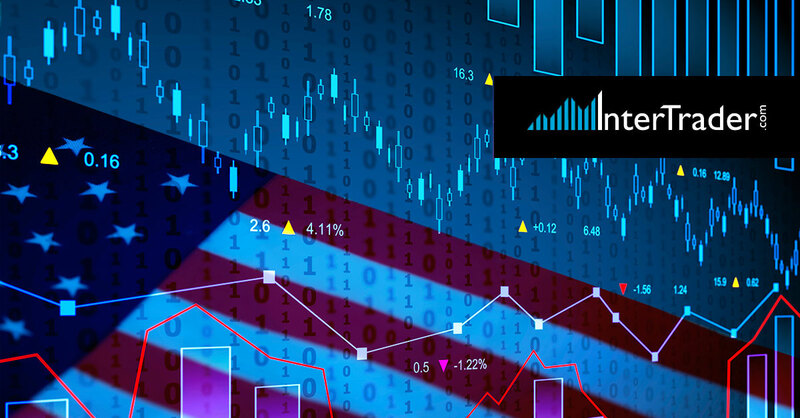 Traditional safe haven assets like gold, the Swiss franc, the Japanese yen and government bonds, which all tend to rise at times of geopolitical uncertainty and fall in tranquil periods, are the ones to watch here. Gold broke above $1300 per ounce after the White House announced that Trump was cancelling the meeting. It’s since dropped back to hover around $1299 after his U-turn. If the Trump/Kim summit signals a momentous breakthrough for world peace, expect safe havens to suffer. Policymakers at the US central bank’s Federal Open Market Committee will meet on Tuesday and Wednesday for the fourth time this year. It is widely expected to raise short-term interest rates for the second time this year by a quarter of a percentage point. The two-day meeting is followed by the quarterly press briefing with the Fed’s chair, Jerome Powell, who will present the FOMC’s current economic projections and provide additional context for the policy decisions. Traders have increased their expectations that the Fed will raise interest rates three or possibly four times this year. If the FOMC meeting serves to change that narrative, expect volatility in dollar pairs, stock futures and bond yields. ECB sources have told media that President Mario Draghi’s Governing Council is likely to treat the 14 June policy meeting as an opportunity to debate winding down bond-buying. They added Draghi may use his press conference to signal that an announcement will come in July. These hawkish hints have boosted euro pairs this week. Sterling and FTSE traders will be scrutinising the UK’s monthly unemployment figures, released on 12 June, and monthly inflation data, released the next day. If the figures beat estimates it will reinforce expectations of an interest-rate hike from the Bank of England, which will likely boost the pound and knock the FTSE. Sterling rallied when last month’s employment data stayed more-or-less in line with expectations, and slid after an unexpected fall in inflation in April. Markets expect May’s core inflation reading to stay at 2.1%. The UK was once a proud ‘nation of shopkeepers’. But high street retailers, and their share prices, are suffering as consumers increasingly flock online. Not so Tesco (LON:TSCO), the UK’s largest retailer, which is defying the wider gloom on the British high street. Its shares jumped to their highest level in three years in April when it beat market estimates and reported that annual profits exceeded £1bn for the first time since 2014. The next marker for investors is the company’s first quarter trading update on 15 June. Analysts expect the impressive performance to continue. Among the 14 Reuters analysts covering Tesco, 10 have a ‘buy’ rating, one has a ‘sell’ and three have a ‘hold’. Other company earnings next week include a third-quarter trading statement from construction firm Bellway, and Games Workshop’s full-year earnings.